Saurabh Garg was indeed cool about the interview when we spoke for his new book. As I got busy with my work and took time in posting this interview he was really calm and didn’t bother me. What made me come back to him was the beauty of his book – The Nidhi Kapoor Story which is taking up the literary world by storm, the finesse of the story is neat. He is not comfortable sharing his photograph online and hence going ahead with the logo. 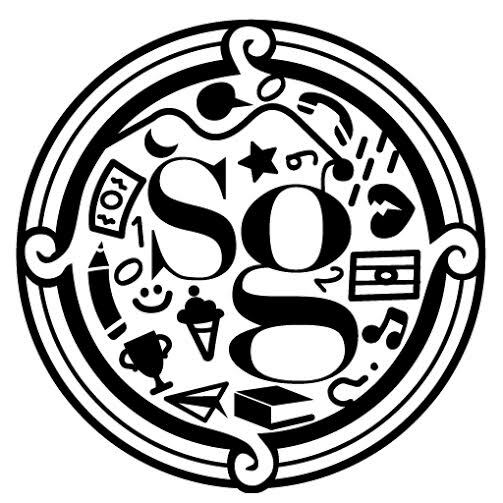 The black and white artwork in the logo reflects his simple yet sharp tenacity and reflects in the characters of his story. #TNKS is a wonderful thriller and a good read. Here is a window to Saurabh’s life as a part of our author interviews series where we catch up with famous authors and their books. Where were you born? I was born in a small town called Hissar, in Haryana. But my family moved to Delhi when I was 2 or something. So, I grew up in Delhi. Went to a school in Delhi, a college in Delhi and my MBA in Gurgaon. After that, I moved around the country and traveled to other places for work. I wanted to but never had the balls to sort of roam around without an agenda. In terms of my childhood, I don’t really remember a lot of things to be honest. It was all a very long time ago! But a few things are clear to me. Let me list those. 1. I went to a school, college that did not really have “cool” kids. The language was Hindi, money was always scarce and life was limited to that small set of friends and neighbors. Most of kids around me were concerned about cricket and food. We did not have ambitions or aspirations to change the world per se. 2. I spent a lot of time playing cricket in the park next to my place. And when we were tired of playing with cricket, we would play with marbles, tops and other such things. And we did a lot of running. So I was very active physically while I was growing up. TV was still new, cable TV was still expensive. And hence the outdoors! 3. Once we got video games, cable TV, the outdoor bit reduced. I think this is when I got hooked onto comics. The likes of Super Commando Dhruv, Nagraj and others. I loved the entire bouquet from Raj Comics. And I was too “desi” to read Tintins and Archies’ and others. Guess the tryst with Raj Comics at that age is where the first inspiration about being a writer may have hit me. But I am not too sure of this. What and where did you study? I am a computer science graduate and then a MBA. Why computer science? Because computer science was hot back then and the entire world talked about this guy called Bill Gates and his company, Microsoft that he created even though the guy was a dropout. 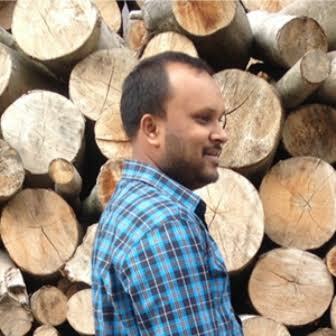 To be honest I did not really do well with academics but I learnt a lot about code and computers. But then when I was passed out from college, I could not find a job! So the next option was to go for an MBA! MBA again happened by luck. Went to MDI Gurgaon and learnt about life beyond a limited set of friends and family. In fact whatever little I’ve managed to do, a large credit goes to my time at MDI. I always always wanted to be a detective. Blame it on Karamchand and Byomkesh Bakshi. And game shows like The Crystal Maze and Family Fortunes and so on and so forth. Guess that’s why my book is a murder-mystery! Apart from that I think I’ve always wanted to be the richest man in the world. Now I know that it was a frivolous chase and I’d rather be the best man in the world, than the richest. Both seem impossible and yet are doable. But I guess there’s a bit more satisfaction in being nice, compared to being rich. Only time shall tell where I end up. I don’t know what would come out of it. But I am sure there’s light at the end of the tunnel. Tell me your best experience after your book came out. Rather than one best feedback, I can talk in general terms. After the book came out, I have a wee bit more acceptance within my friends and family. Strangers don’t really matter. They wont miss me when I am gone and I’d rather make my people happy than worrying about what someone who I don’t know may say. Lot of doors have opened up. Again without a book, these doors would have remained closed. For example, a couple of producers have shown interest in acquiring the movie rights of the book. That to me is huge! Finally, the best thing to have happened to me after the book was this long email that my father sent me about the book. He doesn’t really read a lot (come to think of it, he read a lot when I was young but with advent of TV, his interest in reading went down). So, #tnks was the first book that he had read in a long long time. And after he read it – I suspect he did not like it much – he sent me a long email talking about things I could improve in the next book. To me, that was THE prize I wanted to win! I literally had tears in my eyes when I finished reading the book. Can you share the turnover/readership/clients till date? I don’t have the numbers but I don’t think its more than 1000. And I am so thankful to all those people who have trusted their investment in me. I wish I could meet then and thank them personally. And yeah you may share this on your blog / website. Can your readers help in taking this number upto 1 lakh please? I hope to publish 5 books in the next 5 years. And I really want to see a movie commissioned on one of my stories. Talks are on for it. Having said this, I am working on my next book. Will announce it in / around March of 2015 when I know how the first draft looks like. I have a typical “chota parivar, sukhi parivar.” My parents and my sis. Despite my age, I am unmarried. And I plan to keep it like that. And I can NOT tolerate pets. Its something that works for a lot of people. But not for me. I am happy with people who have pets and I know their pets mean the world to them. So, as long as I am not supposed to go near to animals, pets, cats, dogs, turtles etc, I am fine with their existence. A quote/book that influenced you. This is from Jeff Bezos. He calls it regret minimization framework. He says that he projects himself forward to the age of 80 and looks backs at his life and wants to minimize the regrets in life. And regret more often than not is have not tried. Failure is fine. But not trying is not! 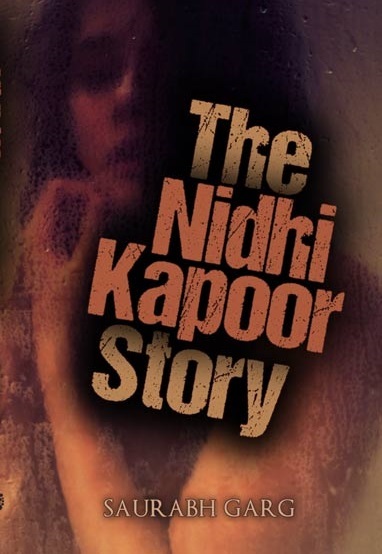 You can buy The Nidhi Kapoor Story here.